It is raining again in Seattle. June 22 and it feels like late November. Thankfully, my friend Jack A. of clothingmadeinusablog has just published a post that has helped to remind me that June actually is a month of summer. 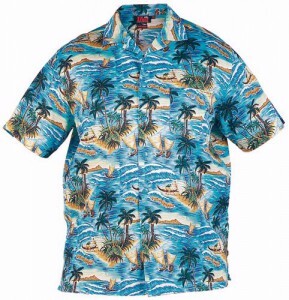 Jack’s post sets forth the history of Hawaiian Shirts and provides the definitive list of Hawaiian Shirts made by members of our extended American family. Jack, Mahalo nui loa! This entry was posted in american made, Apparel, Made in America, made in usa and tagged Aloha shirt, clothingmadeintheusablog, Made in America, made in america products, Made in the USA, Made in the USA products, United States. Bookmark the permalink. Thanks for the post. Buy the way, I like that shirt. -Jack A.